The Arabica group is looking for a highly professional self-motivated person to join our team in Oslo. You will assist the Management and the Board of the group with financial control and administrative support for the 5 companies of the group, but mainly for Collaborative Coffee Source AS (CCS). Arabica is group of vertically integrated specialty coffee companies based in Norway, still, working internationally. The group was born in 1997 with Java espresso bar, one of the first specialty coffee shops established in Oslo. Later on, other coffee businesses were founded, including CCS which is a quality focused and knowledge driven green coffee trading company. CCS is now the largest and most complex organization within the Arabica group, currently sourcing coffee in over ten countries in Central & South America, and East Africa, and serving clients across three continents; Europe, North America and Asia. Regular reporting to the Management on financial, administrative, legal and HR matters. Education: Business school Bachelor or Master preferred, with a focus on Corporate finance. A creative person, who undertakes initiatives and suggests improvement/solution for key issues. The ability to maintain confidentiality in all matters. Excellent interpersonal and intercultural skills. A demonstrated capability to collaborate with and maintain effective relationships and communication with colleagues and partners. A flexible nature, positive temperament and ability to handle stressful situations. Enjoys working independently with minimal guidance as well as with a close-knit team. Language Skills: Excellent English reading, writing and speaking skills are required. For this position we are offering a yearly salary of 400,000 NOK per year or more, depending on the profile and the experience of the candidate. To apply, please submit your resume and cover letter to charlotte@collaborativecoffeesource.com and fill this Google Form. Meet Veronika Galova Vesela, five-time Slovakian Brew Champion, and our new sales representative for Europe. Veronika began her coffee journey almost eight years ago when she took a job as a part-time barista at Starbucks in Prague. She fell in love with coffee and sought to learn more, undertaking several advanced barista courses. Soon she was spending more time immersed in coffee education than her university studies. Upon graduating, Veronika took a job with the Czech roastery La Boheme Café, and entered her first barista competition at the Coffee in Good Spirits in Prague. She took home the national title. The following year she competed in her home country of Slovakia, and took that national title too. Competitions became such a focus that Veronika left the roastery to start her own business as an independent barista and consultant, eventually opening a barista training school in the Czech Republic, all so she could have more flexibility to train for competitions. She also traveled to Panama, her first trip to origin. The opportunity to work for CCS was the perfect next step for Veronika, who is eager to discover more flavors from different origins, and to hear the coffee stories and innovations from producers, roasteries and coffee shops. “Traveling to origin and around Europe, meeting other coffee professionals, it sounds like heaven for coffee enthusiast like me,” Veronika said. Veronika joins Nico and Bjørnar in the European sales team, and will be based in Oslo. Welcome to the CCS team! Julia is not actually new to CCS. In fact, she has been part of the extended family for over four years, working as a barista for our sister cafes, Java and Mocca. Last year she took over Quality Control and management of the CCS Sample Lab in Oslo, and with the force of her organizational energy, the lab suddenly became a picture one could post in Things Organized Neatly. While Julia is not new to the team, she is in a new role: Asia Sales Representative! Julia will be based in Tokyo, Japan, for the next few months, helping our partners in the region and presenting CCS to new roasters. We miss her vibrancy and enthusiasm here at HQ, but we know it will be warmly welcomed by CCS friends and family in Asia. Are you a roaster in Asia? Send an email to julia@collaborativecoffeesource.com. She would love to connect you with our partners, send you some samples, or help host a cupping! A story that is never told is that of the nano smallholder coffee farmer. I'm referring now to the many coffee smallholders who own less than 500 coffee plants and subsist on coffee as their sole or majority cash crop. The coffee producers that make some of our most exciting coffees each year and reside in places like Kenya, Ethiopia and Burundi. Their stories become anonymous, in large part, due to the sheer reality that it is impossible to engage with thousands of people at a time when buying coffee from the washing stations they sell their cherries to. But each of these farmers matter. From both an inter-relational perspective and also from the future of coffee perspective. By now you've heard about and read report after report warning the coffee industry that climate change is having an increasingly deleterious effect on coffee production. Producers are increasingly saddled with harder to predict weather patterns, new pests and diseases as a result of these variant weather patterns, and confused plants that can't evolve quickly enough to adjust. Here is where climate change researchers play a crucial role: it is through their work and collaborations with actors throughout our industry that will help us all try to face the seemingly insurmountable challenges that are developing all too quickly. One of these researchers is Milda Jonusaite Nordbø, a PhD candidate from the University of Oslo's Department of Sociology and Human Geography. Milda's research is important not just because it's focused on climate change, but especially because it is centred on climate change adaptation. For her PhD dissertation, Milda's honed in on an origin that is dear to us, Burundi. And through her field work, we will gain insights into how the nano smallholder farmers that produce our amazing coffees first, view their work as coffee producers, and (hopefully) next, how they are adapting to climate change. This is Dorothy, a coffee producer who delivers coffee cherries to our partner's, Long Miles Coffee, Bukeye washing station in Kayanza, Burundi. I met Dorothy, through Milda, during CCS' June buying trip this past summer. As part of Milda's data collection methodology, she decided to start a "photo journaling" project whereby chosen farmers were given cameras to document not only their daily life as a coffee farmer, but in particular the most important aspects of their daily life as one. One of the biggest hindrances in social science research has been in getting as close to the reality of a subject's lived experience, as they truly live it. With photo journaling, there's more direct access to the point-of-view of the subject, rather than the researcher's interpretation of their experience. Yes, the researcher, in interviewing the subject about why they took the photo they did, comes in with their own bias and perspective, but the photos themselves do not lie and so using the photo as the basis for discussion is a great way to get close to what the person perceives as significant. So, what does a day in the life of Dorothy look like? What does she see as important in her daily work as a coffee producer? Turns out that Dorothy, along with the other few farmers who participated in her group of the photo journaling project, did not take photos of actual coffee. When asked to take photos of what's really important to them, Dorothy viewed her land and children as most important. This finding may run counter to what we would assume about someone who's sole basis for cash earnings rests on coffee. A question that this might raise is whether Dorothy, in not putting coffee at the forefront of her priorities, is negatively impacting her ability to be a great coffee farmer. It turns out this assumption isn't so. she is curious about the parts of the coffee chain that are beyond the washing station. When she was handed a copy of Standart Magazine, Dorothy had a million-and-one questions about almost every photo on the magazine's pages. It was the first time she had been introduced to the work of coffee professionals beyond a washing station and she was particularly eager to learn about and compare how coffee producers in other countries work. Dorothy hadn't thought about the fact that there are non-Burundian coffee producers "out there" and when she saw a photo representing coffee production elsewhere, she immediately understood something more about why cherry quality is so important to the Long Miles team. That is to say that she, as a Burundian coffee farmer, is in competition with coffee farmers from other places. Say, Kenya, for example. Not only is this realization important to Dorothy in providing her with more meaning behind her work, it is crucially important for our industry that farmers know and can feel the significance of their work. In finishing up her perusing of the magazine, Dorothy wanted us to pass on a question and message to the customers of her coffee: "Why do we get paid so little?" and "We [coffee producers] think of you when we grow coffee. We wonder if you also think of us." In addition, she wanted us to tell you a few more things: the government is making laws that make coffee farming more and more challenging, and the income she receives from coffee pays for the education of her six children. Coffees from Burundi are scheduled to arrive on January 15th in Antwerp and January 18th in New Jersey. Contact Sal for availability in NJ and Nico for availability in EU/Asia. It’s that time of year when we pause to review our past and plan for our future. At CCS, we have taken this time to consider why this company was founded, its successes and frustrations, and our hopes for the coming years. With this document we aim to hold ourselves accountable to our producers, partners, and customers, and everyone working in specialty coffee. Before the end-of-year celebrations begin in earnest, we hope you find a moment to read this report. We invite you to question, comment and respond. Please email us at info@collaborativecoffeesource.com with your thoughts. At the core of CCS' way of sourcing coffee is the principle of establishing long-term relationships between producers and roasters. We believe that everyone benefits when true partnerships are at work amongst the actors in a coffee's life cycle. And sourcing partnerships are based upon commitments. For the producer: to deliver coffee at a certain quality, within a certain time frame, at a mutually determined price; for the buyer: committing to a certain volume of a specified quality and agreed upon price. Practically, what does this mean and how does this benefit everyone? For producers, forward purchasing means security and a means to better plan for future harvests. When you're not wondering who your buyer(s) will be and how much coffee you'll sell at what price, you can focus on actual coffee producing activities. "Our whole team takes extra care when preparing and exporting 'Melanie's coffee.' For the team, your advance commitments [mean that] CCS isn't just an exporter. There is a real person called Melanie, who represents a company called CCS, to whom we are committed to in real relational terms to produce a final product. We expect to produce 'Melanie's coffee' each year and look forward to hosting Melanie when she comes to check in on her coffee." Forward purchasing also means security for roasters: knowing in advance what will be on your menus so you can work in ahead of time on marketing and other preparations for new arrivals. It also means access to more interesting and higher quality coffees, as you become the first-in-line to access the top lots of the harvest. Pricing too becomes more flexible with forward purchasing, once certain volumes are reached. "It forces us to think very hard about realistic projections which can be quite helpful. I also think that it is more efficient: For example, we spend a few days out of the year focusing on prepping our run of Guats and then we don't have to spend more of our time (and importers' time!) requesting samples, sample roasting, cupping, etc." While forward planning does need to be considered carefully against the unpredictability of business needs, we believe that what one sacrifices in flexibility is made up for in exclusivity and a tailored purchasing experience. One of the things CCS is best known for is providing in-depth personalized buying. For example, Belleville in Paris buy most of Neptaly Bautista's production year-after-year and have therefore been able to create great anticipation within their market for "fresh crop Neptaly." So not only does Belleville exclusively offer Neptaly's coffee in their market, their market is also given an opportunity to receive invaluable education about the coffee life cycle, an otherwise nebulous concept if one sells different coffees menu after menu. Bjørnar, Nicolas, Sal or Colleen will meet with you, either in person or over the phone. The ideal time is January, but anytime is a good start time, it just needs to be in advance of the origin visit. Step 2: Contracts signed. We suggest "SAS Replace" terms, meaning if you don't approve the initial sample, you receive another at a similar market level. Step 3: Samples are sent to you for approval. Step 4: Coffee arrives to your warehouse for delivery or pick up. Interested in forward contracting? Get in touch! The Collaborative Coffee Source continues to grow with Charlotte Dourneau joining our business development team! Welcome Charlotte. After studying business and law in HEC Paris and La Sorbonne, Charlotte worked in an impact investment fund in Paris. She met dozens of inspiring entrepreneurs who really motivated her to develop her own project. Passionate about coffee, she set off on a new adventure. In 2016, she went to Peru and worked on coffee farms in pursuit of her dream to to bring together social entrepreneurship and coffee. She is co-founder of the blog Los Tostados which features great initiatives in coffee, sustainable agriculture and social impact. After returning from South America she joined Esperanza Café, a French company that sources and roasts organic coffee from small producers and she launched a roasting workshop and a coffee school in Barcelona with them. Charlotte joins us as Business Development and Financial Officer at Collaborative Coffee Source and is based at CCS’ Oslo HQ. With the recent additions to the sales side of our team, we're balancing things out in our communications team by announcing the addition of Suzie Hoban, who will be joining us at our HQ in Oslo. Welcome, Suzie! Originally from Australia, Suzie has lived, worked and studied in Asia, Europe and South America. After several years working in broadcasting, marketing and advertising, Suzie travelled to Italy to study a Masters in Food Culture and Communications at the University of Gastronomic Sciences, complementing her communications background with sensorial analysis training and an understanding of food systems and production. Upon graduating Suzie pursued a newfound fascination for coffee and cacao, interning with coffee roasters and chocolate makers in Europe, before moving to Bogotá in 2011. There she continued exploring cacao and coffee as a lecturer in Gastronomy at the Universidad de La Sabana, a chocolatier, and an ardent promotor of Colombia’s burgeoning fine chocolate industry. Living in Colombia, Suzie has seen first-hand the benefits the specialty market brings to farmers and local companies in the supply chain. You can reach Suzie at suzie@collaborativecoffeesource.com. We have (another) new addition to the team. Welcome, Matt! Matt Hassell resides just outside of Boston, MA, USA. From there he will be taking a leading role in CCS’ department of Sample Management & Quality Control worldwide, and is joining our growing Sourcing & Buying team. Known for his organizational skills and sharp attention to details, both essential traits for the roles he'll be fulfilling within our team, Matt is a warmly welcomed addition to our team. Matt began his career in specialty coffee in 2010 thanks to an exceptional coffee from Mamuto Estate in Kenya. Drinking it was a revelation and became the catalyst for a continued deep interest in all things coffee. Things started out at George Howell Coffee, where Matt helped open their first cafe as the first acting manager. From there, he transitioned to the roastery where he eventually became Head of Roasting and Quality Control. During his tenure at George Howell, Matt played an active role in the educational activities of the company, which included hosting roasting classes and public cuppings. In coffee there is always more to be learned. This fact perfectly fits Matt’s curious personality and desire to work more directly with producers, which is one of his biggest ambitions as a coffee professional. It is perfect, then, that his next stop and first one as part of team CCS is a trip to visit Kenyan coops and estates before the upcoming harvest season. We’d like to introduce you to the newest member to CCS, Nicolas Pourailly. Welcome, Nico! With all the positive feedback and growth we’ve been experiencing across Europe, it’s time for us to expand our team’s presence and reach to better serve the unique needs of our many regional markets. After hearing from and meeting with many wonderful candidates from all over the world (thank you! ), we’re excited and proud to be bringing Nicolas on board. He has re-located from Barcelona to Oslo to work out of our HQ and has started and has definitely hit the ground running. Nicolas started working in the specialty coffee industry at the end of 2015 when he discovered the Parisian specialty coffee scene and through this interest, learned about specialty coffee’s approach to agroforestry, which was a topic he developed an interest in through his engineering studies. Tostados in 2016 to support to an initiation trip to coffee origin. During this trip, he worked with cooperatives and producers in Peru to understand the living conditions of coffee producers, along with agronomic techniques used in the field and how each step in coffee processing affects the final quality. More recently, he worked as a roaster and quality grader in Barcelona with Esperanza Cafe. In September 2017, Nicolas joined CCS to manage the European Sales and help in CCS’ quality control process. You can contact Nico at nicolas@collaborativecoffeesource.com. We'd like to introduce you to the newest member to CCS, Colleen King. Welcome, Colleen! With all the positive feedback and growth we've been experiencing across North America, it's time for us to expand our team's presence and reach to better serve the unique needs of the various regional markets. With Sal joining us from Boston at the beginning of this year, it made sense for us to expand our team into the western regions. After hearing from and meeting with many wonderful candidates (thank you! ), we're excited and proud to be bringing Colleen on board. Colleen has been working in specialty coffee since 2008, when she was hired at Intelligentsia Coffee & Tea at their flagship store in Chicago. Since then, she has worked in specialty coffee in Los Angeles, Portland and San Francisco, where she currently resides. Her career experience includes wholesale strategy, build out design, quality control, and green coffee trading. She received her BA in Critical Theory and Analysis with a concentration in Post Colonial Economics. Her work has been published and featured in Food Studies: An Interdisciplinary Journal, Daily Coffee News, and Life & Thyme Magazine. Given our team's personalized style of working with roasters, if you're located on the west coast, you can expect to hear from Colleen about meeting and cupping with her in person. You can get in touch at colleen@collaborativecoffeesource.com. If you've experienced the process of growing your hair out from a short hairstyle to a longer one, you understand exactly what is meant by the "awkward growing out" period. This year CCS is creating a new design profile because we want to better and more simply communicate the work that we do. Design is a language that connects with the senses; it conveys meaning through images and style in a way that is intuitive. It does some of the work in communicating that words cannot. CCS' new icon is the Right Whale, which got its name from whale hunters who appreciated it for having all the qualities that they needed. Just as the whale hunters viewed this specie as the 'right one' we believe our customers and suppliers are confident in us based on the quality of our work and products. 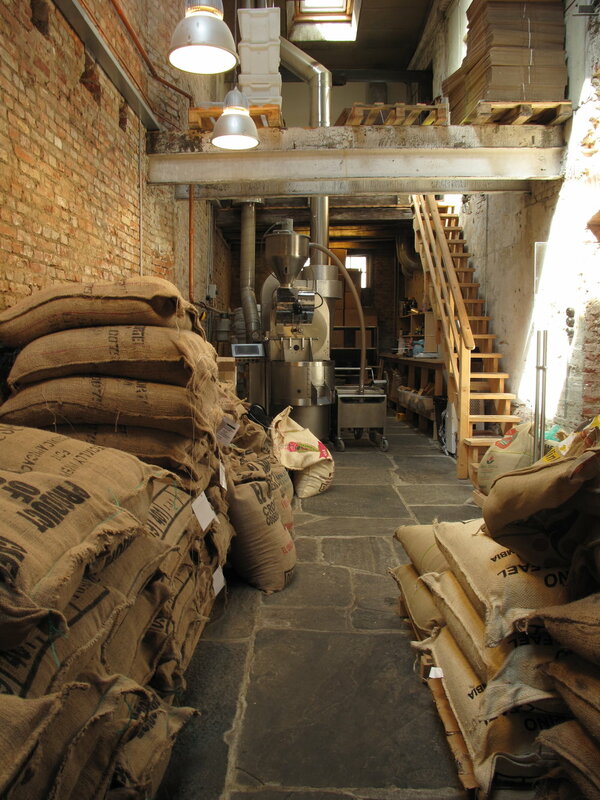 We aim to find the right coffee supplier and coffee for the right roaster and vice versa. Like CCS and its partners, the Right Whale species is divided into southern and northern groups that travel the ocean between the continents and always live within tight-knit communities. Whereas the Right Whale is distinctive and a bit odd it its looks and smile, we've been told that we're a bit odd and unique. We take this to mean that we're noticed for having a different approach to specialty coffee and are appreciated for it ;). In the coming months, look out for the whale and its distinctive dark blue colour. The blue was chosen to both contrast and complement the playfulness of the whale while simultaneously conveying the complexity of our industry and the professionalism that our team strives for. Our new typography - which you will initially see more in our price lists, print and posters - is inspired by the trade industry: it's a moderate and sober use of typography that used to be found on inventory lists from the 1930s until the 1980s, that we are repurposing for ourselves now. We are now going to focus on unveiling a brand new website that will hopefully launch by the end of the year. The aims for it are to be easy to navigate, interactive, and containing all the information that you're wishing for in an accessible format. A big thank you for your ongoing support! If you have any of the following, get in touch! We are a quality and education focused green coffee sourcing company founded in Oslo, Norway and are concurrently expanding from our New York headquarters to cover more of the North American market, as well as from Shanghai to better serve our rapidly growing Asian markets. CCS currently sources coffee in nine countries from Central America, South America and East Africa. We serve roasters from all over North America, Europe and Asia. Send your cover letter and CV to robert@collaborativecoffeesource.com. da Matteo opened in 2003 after previously operating under the name “Caffè Espresso”. There are currently three locations – all within walking distance of one another, in Gothenburg, Sweden. 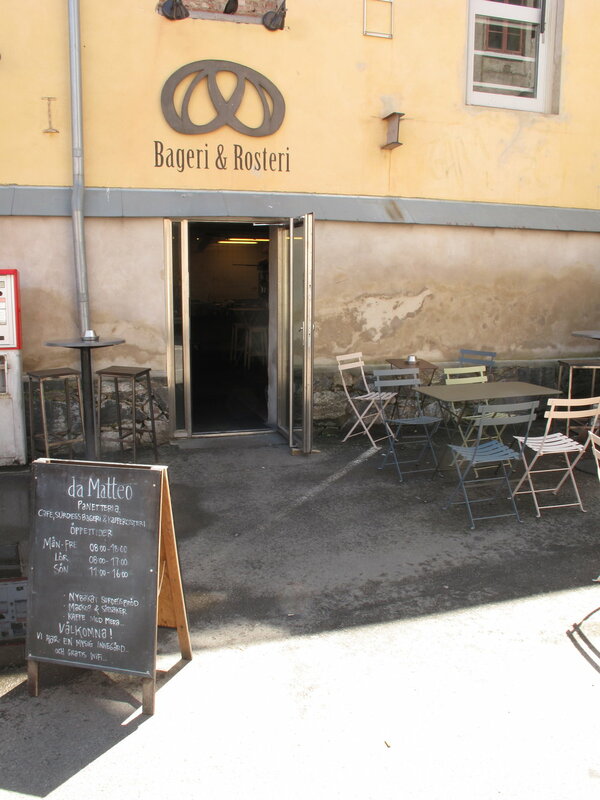 Each space is unique: the original is a charming “hole-in-a-wall”, the second boasts a big open courtyard with many food options and the last, a combination roastery/bakery/café, is rustic, with stone walls and cobblestoned flooring. Matts Johansson, founder of da Matteo, is a coffee pioneer in Sweden. He previously worked as a chef and opened his first café in the early-90s. Coffee represents an exploration of flavour and the meeting of people to Matts, and this is what inspired his move into coffee. When da Matteo began roasting, the micro-roastery movement was just taking off in Sweden – they were one of the first quality-focused roasteries in the country. da Matteo continues to be a leader within specialty coffee in Sweden and it aims to push as well as build and develop this community. We are building a community of specialty roasters and coffee producers who are working toward a transparent, equitable and sustainable model of coffee trade. As the coffee chain has many layers, it can be difficult to bring all parties together but we believe it is not only possible to do so, but is mutually beneficial to all concerned, both from a quality perspective and, just as importantly, for transparent and equitable business practice. As we are looking to have everyone actively participate in this project, we are committed to facilitating long-term partnerships between roaster and producer. This means that we will not be offering “spot coffees” in recognition of the unique needs of each party. We understand there are different regional and taste preferences for every roaster and if we have developed good relationships for a region you are interested in, we can facilitate connections between you and quality-focused producers. In practice, this means we have responsibilities both to roasters and producers: a transparent pricing structure, transport that is as direct as possible, open communication amongst all parties and follow through on commitments made. In order for this community to function, responsibilities flow in all directions. For a participating producer, this means fulfillment of agreements and for a participating roaster, this means concrete commitments to coffees. Roasters looking to receive the freshest coffee in the volumes required need to communicate commitment to coffee they want to buy in a timely manner. This in turn enables us to book coffee from producers early enough in the season that we are all assured of final delivery. We are currently working on this online extension of the community where every party will have access to one another. As such, our goal is to have a multi-lingual website. Robert already speaks Spanish and Bjørnar will soon too - look for a Spanish version of this site in the future. In addition to our website, we are also on twitter and facebook. We are very much looking forward to working with you on this exciting project. Please contact Melanie about how you can be involved. As we are looking to have everyone actively participate in this model of trade, we are committed to facilitating long-term partnerships between roaster and producer. This means that we will not be offering “spot coffees” in recognition of the unique needs of each party. We understand there are different regional and taste preferences for every roaster and because we have developed a good relationship with you, we believe we can facilitate a connection between the farmers, you and quality-focused roasters. This project is moving quickly. Not only are we facilitating shipments with Scandinavian roasters, we are also currently working with parties from Moscow to Paris. If you have built relationships with roasters in Europe and see parallels in the ways you are working with them and the approach we are taking, it may beneficial for us all to work together. Our experience roasting within and buying coffee for the European market means we can solidify the existing connections you have built, as well as work out logistical and technical details so that the coffee buying process is more efficient for all parties. As a roasting colleague to other European roasters, we understand how to distribute coffees within each market so that each individual roaster is providing their customers with unique coffees. We are currently working on this online extension of the community where every party will have access to one another. As such, our goal is to have a multi-lingual website. Robert already speaks Spanish and Bjørnar will soon too - look for a Spanish version of this site in the near future. In addition to our website, we are also on twitter and facebook.